We believe all great things start small. Premier (India) Bearings Limited was no exception. Armed with commitment and zest to the best at what we do, it was 1975 that saw us embark on a journey that has become an increasingly challenging and fruitful one. Premier Group TurnoverToday our group turnover stands at Rs. 2000 million. We target to achieve a group turnover of Rs. 3000 million by year 2015. 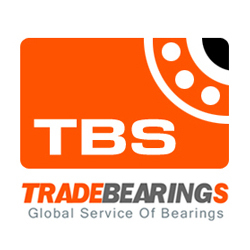 Currently we command bulk market share for distribution of bearings in India. Our experience over 95 years includes: turbine and generator bearings operating in nuclear power stations; very large vertical guide and thrust bearing assemblies operating in some of the largest hydroelectric plants in North America; patented designs for small tilting pad radial bearings for high speed lightly loaded rotating machinery; and new and repaired bearings for the U.S. Navy. Durga Bearings is a proven market leader in the supply of world – class bearings in the country. More than 10,000 customers rely on Durga for their superior Technical Support Team, Best Price, Shortest Delivery Time and Durga’s enviable inventory, the largest in the country with an astonishing capability to supply more than 1,50,000 types of bearings from the world’s leading bearing manufacturers. B.N.BEARING CO. is one of the largest Distributor of Bearings, having its Head Office in Kolkata, India. The company has been founded in 1991. Our company is one and only Importer, Stockiest and Distributor for SLF Brand Bearings in India.Also we are the athorized importer of Nachi (Japan)and Tmeic(Japan) Bearing in Indian Market. We are rendering service to all the renowned & respected Industrial Customer of India with various Products through our several branches from so many years and growing strength to strength everyday. We even serve the need of the customers outside India. Our huge inventory, services & professional attitude is our capital.